New dates have been released for a tour of Australia and New Zealand in February 2017. See the 2017 Tour Page for full details of when tickets will go on sale. Many thanks Rob, this news has made me a very happy guy. Got my tickets on line yesterday morning, second row from the stage in the middle. very pleased. 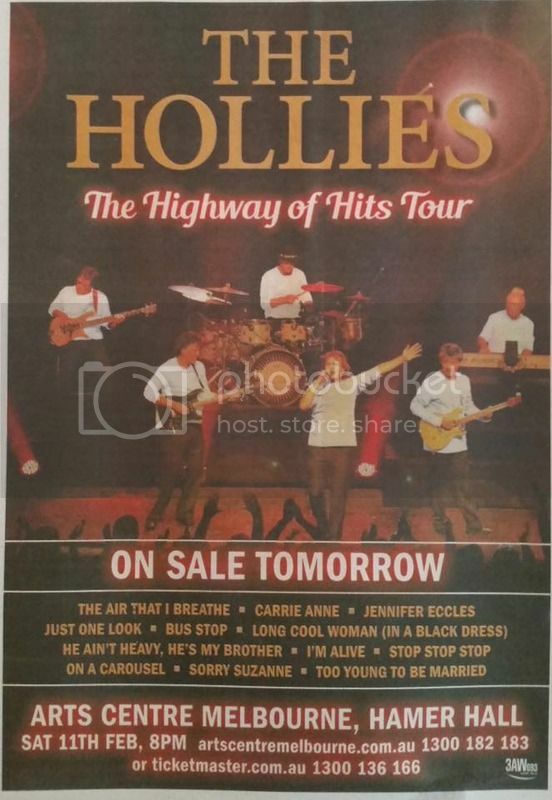 The Highway Of Hits Tour - I like that! Have a good time, Anthony. There is a post on the face book page asking why the concert in Woollongong has been cancelled. This event is not listed on the tour page on the official site but apparently some tickets have been sold. Perhaps our friends in Australia (or anywhere!) could help with some information?